Give the gift of hospitality to our faith community and guests. Anyone is welcome to host and snacks need not be elaborate... Sign up online; click the button above! Every Sunday Youth Breakfast is at 9 am and Sunday School gathers at 9:45 am. 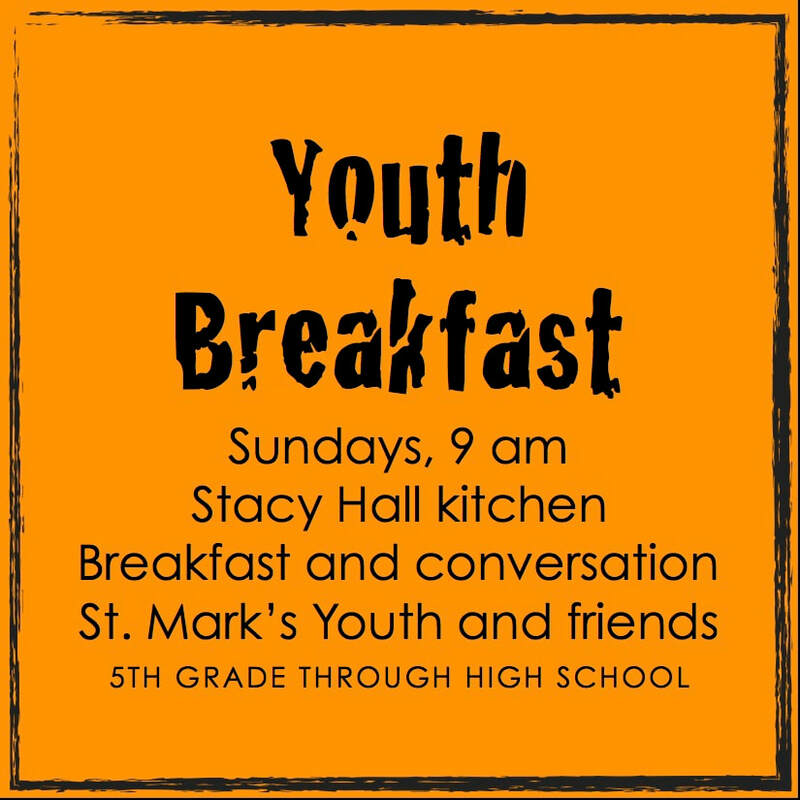 Youth Breakfast meets in the Stacy Hall kitchen and Sunday School meets in the Stacy Hall classrooms. Questions? Please speak with our Christian Formation Coordinator, Tasha Morphy. You can also reach her at tasha@smitv.org. Do you have a free hour once a month to help serve our wider community? Every Monday throughout the year (52 Monday’s including Monday holidays) St. Mark’s has a team of volunteers that deliver hot lunches to our area homebound. Our team delivers Route 1 which covers the Solvang area. The route takes about an hour and meals are picked up at around 11 am from Atterdag Village. We are in need of new volunteer drivers. A volunteer typically does the route once a month or every other month. Please contact Billy Hurbaugh (text or call 805-245-4099) for more information or to sign up. Our Sunday refreshment time after the morning services is a great gift of hospitality to our faith community and guests. Anyone is welcome to host and snacks need not be elaborate - for about 12 people after the 8 am service or 50-75 after the 10 am service. Vestry members and others will help make coffee (simple - like using a "Mr. Coffee" machine). Sign up on the sign up sheet in Stacy Hall or click the button below or on our homepage. …about our Santa Barbara County Food Action Plan and how ourCommunity Kitchen can help address the priority goals of the Plan — and help our neighbors be healthier and more food secure. At. St. Mark’s, anyone is welcome to participate in anything. Everything we do is a ministry of imperfection. We aim for perfect, but get whatever we get (sometimes VERY good! ), and thank God that everything we do is handmade and a work of love. The prayer chain and the prayer list are available to you. Do you have 40 minutes or so one morning a week to provide a regular delivery of food for hungry neighbors? Planned giving is enormously important to the long-term life of St. Mark's-in-the-Valley. A new Gamblers Anonymous meeting is gathering at St. Mark's on Tuesday evenings from 7:30-8:30 pm in Stacy Hall.